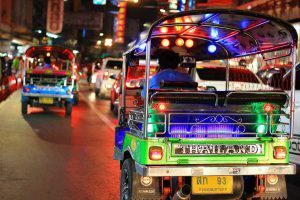 Thailand’s version of gondolas, which literally play a role in keeping the local economy afloat, are known as long-tail boats. 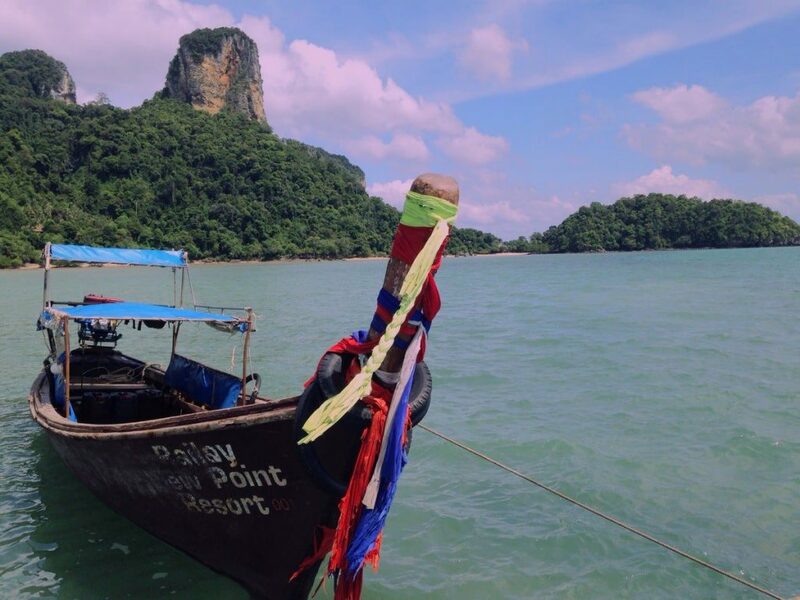 The majority of these vessels can be found in Krabi and Phuket, where they are used to take thousands of tourists from island to island, creating a source of income for the locals. 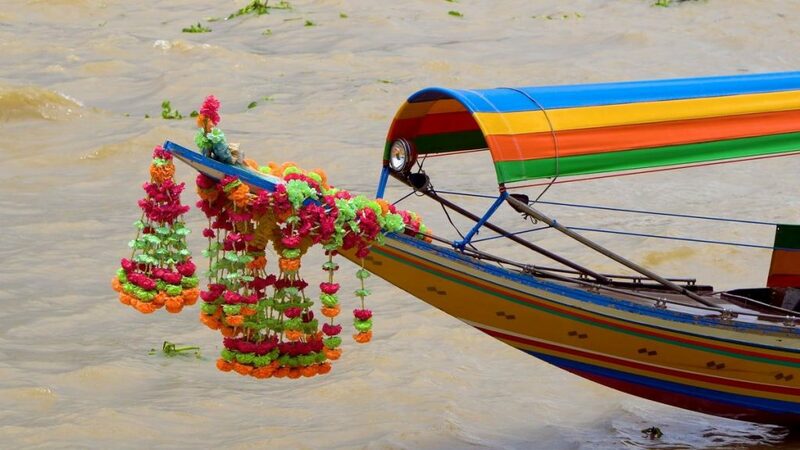 If you’ve ever been to Thailand, you’ll see these colorful, iconic boats lined up on the beach in pictures and postcards; but what is the history behind these long tail boats? WHY ARE THEY CALLED LONG-TAIL BOATS?! Known as the gondolas of southern Thailand, Ruang Hang Yao, which can be literally translated as long-tail boats, come in different shapes and sizes, but they have one thing in common. They all have a long tail, a pole attached to the stern of the boat with a propeller attached to it. With an innovative dual function, this tail is used for both stirring and propelling the boat. Highly economical and ecological, the long tail is made up of biodegradable bamboo and a recycled tractor or car motor. The next time you sit on a long-tail boat, play a game of guess the engine during your journey. Believe it or not, no plans are used in creating a long-tail boat. The design’s blueprint is in the master crafter’s head and is passed on from one generation to another. Created from intuition and experience, the long boat has a high bow and flat bottom which allows it to withstand rough waves. Its shape also allows it to maneuver through narrow waterways and shallow waters. In the past, the long-tail boats were made from merawan, which is dense, seawater resistant, durable, and guarded by a female guardian spirit known as Nang Ta-Khian. This superstition meant that this wood would be exclusively used for making boats as doing otherwise would anger the guardian spirit, bringing death and bad luck to the offender. After the boats have been built, they become the residence of the spirit Mae Ya Nang. Known as the grandmother of boats by the fishermen, they decorate and adorn their boats to please and appease her. Aside from the groovy boat art, the boatmen pay her respect by burning a few incenses each morning and adorning the boat with flowers and colored sashes. Now being predominantly Buddhists, some Thais decorate their boats to receive Buddha’s blessing of good luck. 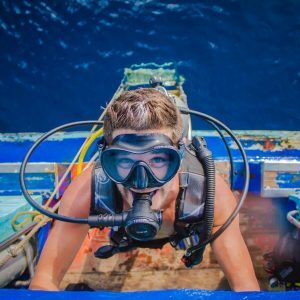 To them, the boat’s bow is Buddha’s head, guiding them through rough seas or to the area where they will find an abundant catch. Blessed by Thai monks before its first journey, this part of the boat is off limits. During times of bad luck and lack of abundance, a grander ceremony is required to return the good vibes. In the past, when Arabian and Indian merchants would visit Southeast Asia, the long-tail boats were joined by wooden dowels and glue and were powered by triangular sails. Now, the boats are joined by steel nails and powered by motorized propellers. To get into the boat, you may need to wade through shallow waters so remember to wear sandals or flip flops. You might also want some water-resistant bags to protect your belongings. Avoid the bow AKA Buddha’s head and board from the lowest part of the bow which is in the middle bit. The captain will usually ask people to stay in front to keep the boat balanced but stay in the middle bit to stay dry. A ride on a long-tail boat always comes with a good story or a picture. Share it with us by commenting below!